I would bet that during the days after Thanksgiving, Google sees a sharp increase in searches for weight loss tips and tricks. Most of us have been there: maybe went a little too hard on the sweet potato casserole and pie, feeling a little bit bigger than we’d like after, and hyperaware of the 5 holiday parties we have just around the corner. It can be tempting to let those negative voices push us towards some quick fix juice cleanse we found on Pinterest in a desperate effort to shed the 5 pounds we supposedly gained since Thursday. I’m here to gently push you in the opposite direction. We’re here for lifestyle change, and a normal healthy lifestyle necessarily includes (over)indulgence sometimes. DO: go right back to your everyday diet. The holiday came and went, and it’s time to get back to your normally scheduled routine. Sometimes one day of total indulgence leads to a weekend, a whole week, or even a whole month of full-on binge eating, especially if you’re prone to black-and-white thinking patterns. If you find that you can either stick with your diet and training routine 100% or not at all, this is probably you. Remember that just like eating one salad won’t magically make you healthy, overeating one day won’t magically make you unhealthy either. Our health is determined by what we do regularly, and hopefully for you that means a diet with lots of whole foods! DO: be realistic about weight gain. Yes, I’m sure we’ve all put on a few pounds since Thanksgiving. Most of that weight is likely due to increased water retention and bloat (that’ll happen when you load up on carbs and sodium, like most of our favorite Thanksgiving foods). By getting back to your normal routine, you’ll see that weight drop back down to normal ranges very quickly. DON’T: ever use a Pinterest cleanse or detox. Just don’t. They’re all terrible. Your liver is really, really good at removing toxins from your body. A magical drink is not going to fix anything, and in reality will just make you more predisposed to binge when you’re “allowed” to eat again. Think long term. 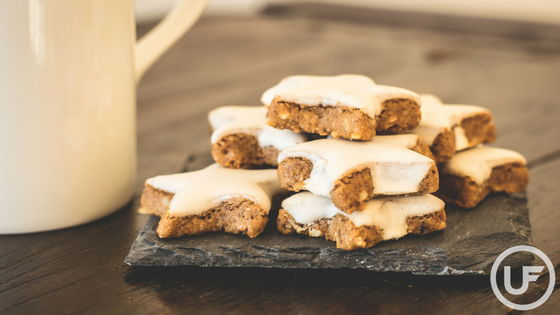 DON’T: let the holiday season be an excuse to binge eat. Humans are really great at rationalizing. “Well our work holiday party is next week, then my family holiday party is the following weekend. May as well just live it up for the next month and get back to it for the New Year.” While this line of thinking is tempting to our baser instincts, it will absolutely set you back in your performance and aesthetic goals. In addition, the habit of binge eating is incredibly difficult to break: eating lots of food does make us feel good in the short term, but makes us sick in the long term. Humans are also really bad at long term thinking, so do yourself a favor and nip this one in the bud now. Every meal is an opportunity to feed yourself well and progress towards the health and fitness you want. Don’t let one or two meals stand in the way of that. DON’T: turn to overexercising or fasting to negate your holiday eating. On the opposite end of the spectrum, you may feel the urge to fast or exercise a lot longer/harder than usual following a big meal. While these methods may feel logical in the moment (especially for black-and-white thinkers), they fall under the category of purging behavior. Despite what some chart equating a piece of pie with the exercise that will burn it off suggests, you don’t need to punish yourself for being indulgent over the holidays. It’s ok to enjoy your meal a little more than usual sometimes. Like getting in the binge habit, breaking the purge habit is similarly difficult, and can lead right back to binge eating. These are opportunities to practice some self-compassion. Finally, DO: thoroughly enjoy the holiday season! Food is far from the most important part of this season. We get to spend quality time with friends and family, give (and receive) gifts to those we love, enjoy the earliest and prettiest parts of winter, and take some time to relax. Every day is a gift. Enjoy it. Enjoy every part of it, right down to your mom’s Christmas cookies and the champagne toast on New Year’s Eve. We only get so many. The holidays are a highly inconsistent time of year. Between attending parties, traveling, and cooking, staying in a routine seems almost impossible. If this is the case for you, take your wins where you can get them. 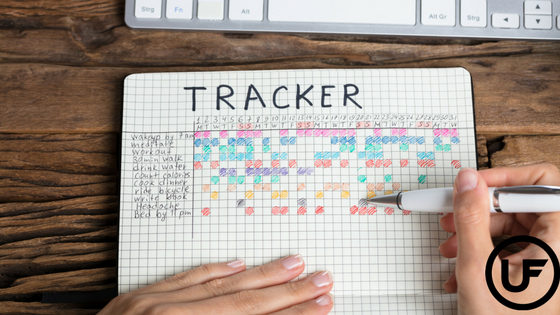 Getting a full 8 hours of sleep, drinking enough water throughout the day, getting 10,000 steps, or eating 2 servings of vegetables per day are small but can keep you on track throughout the holidays. Maybe it’s been awhile since you had a good workout but you’re feeling less than motivated to get back to the gym. Each day that passes is another hurdle to overcome in getting active again, so don’t let one more day pass! Being in a slump is normal this time of year and you’ll probably have to go through the motions for a little while to get back in the swing of things. Know you’re not alone. Don’t miss a Monday workout. 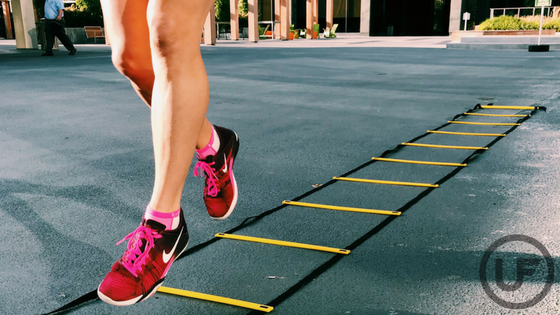 Committing to your Monday workouts and starting the week on the right foot is just the motivation you need to stick with your schedule for the rest of the week and make healthier choices. Schedule your workouts in Google Calendar. Exercise is usually the first thing to go by the wayside when things get hectic. On days you know it’ll be tricky to squeeze in a workout, wake up early or plan a quick HIIT workout. Don’t do a workout you hate. Don’t like running? Don’t do it! Find alternatives that make you look forward to coming back, there are a million options to choose from! Go a little slower than you normally would and focus on form and technique. If you want to do push ups, do as many as you can with great form and finish with a modified push up to complete the set. 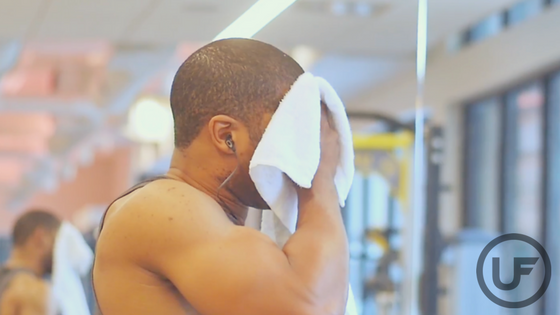 Do a fraction of the workout you would normally do so that you don’t lose momentum before the workout is over. That way you feel a sense of accomplishment in completing what you set out to and know that tomorrow’s workout will be that much better. Go with a friend. Having a support system to encourage each other and be accountable can be a great way to get in a good rhythm. Remember that you ‘get to’ workout. You’re physically able to exercise, which is not true for everyone. Next time you’re tempted to complain or quit, keep that in mind! Our Union Fitness Family wants you to succeed with your goals, big or small. Check out our Holiday deals! Hydration is important whether you’re highly active or enjoy the slow paced side of life. In general, staying hydrated tends to be overlooked as a method of fueling workouts before they begin. Rather than feeling so thirsty you have to chug water, the goal to keep in mind is to sip on water throughout exercise. Add a no calorie water flavoring to your drinks –lemon, lime, or mint are great additions! When you feel hungry, drink water first. Sometimes hunger is confused with thirst, but true hunger will not be satisfied by drinking water. For exercise lasting longer than 90 minutes, it may be beneficial to have a sports drink on hand. Taking in excessive amounts of water without sodium dilutes the body, creating an electrolyte imbalance. A sports drink can help regulate how much water the cell holds to maintain hydration. Note: the caloric and sugar content of sports drinks tend to be similar to that of drinking a soda and there are fewer benefits of consuming a sports drink during short duration or non- exercise. How much water you should drink depends on height, weight, and activity levels. Thirst isn’t always a good indicator of hydration especially in higher altitudes or dry environments that don’t cause sweating. Pay attention, rather, to the color of your urine. Other foods and drinks can help you stay hydrated, too! Fruits, vegetables, soup, tea, and coffee can all contribute to your daily water intake. We all know how important protein is, but making sure our body has enough of it can often times be challenging. Of course, the best way to ensure protein in our bodies is through solid food, but finding the time to prep all of our meals is never easy. That’s why protein powder has become so popular over the past couple of years. It’s the perfect and quick substitution for solid food that ensures protein for our muscles. But is it safe? There are risks, but if you consume protein powder correctly, you shouldn’t run in to any big problems. It is simply an easy way to take care of your muscles without stressing in the kitchen and the benefits are great! Protein shakes are often times used as meal replacements when paired with the right ingredients like oats, peanut butter, fruits and vegetables. This helps you control your calorie intake and makes you feel full enough to not indulge in an big meal. When it comes to dieting and weight control, it’s all about portion control. Replacing a meal with a protein shake will give your body the nutrients it needs, in a good portion size. Every time you work out, your muscles tear. Protein shakes help rebuild them faster to make them stronger. And because your shake is in liquid form, it goes straight to your blood stream and works faster. Solid food is always great, but it takes longer to break down. Protein shakes get the job done at a faster rate. Protein powder has been proven to relieve stress. It’s no secret that taking care of your body makes you feel better all around. When your body feels good, your mind feels good too. We are all prone to stress, but eating the right foods and adding the right nutrients to our diets, can strongly and positively affect our stress levels. Protein shakes are easy and fast. Finding time to prep our meals in between school, work, and our workouts is very hard. Some of us really struggle with the balance between the gym and the kitchen because we simply do not have the time. That’s the beauty of a protein shake, you can make it in seconds and the long term effects are great! 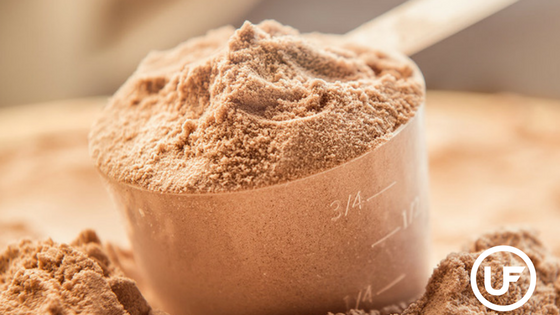 So, what are the best kinds of protein powder? Some of the best kinds are whey, casein, egg, pea, and hemp protein. All five of these different types of protein rebuild and maintain muscle fast. But It is important to understand what you are taking before you take it. Be sure to read all of the ingredients and ask around for second opinions. Protein powder isn’t for everyone. Since a lot of the powder does come from dairy, people are lactose intolerant may struggle more when consuming a protein shake. Understand your body and understand what you need to do to take care of it. Listen: Listen to your body. Listen to your coach. Read books and articles. Listen to podcasts. Keep your ears open and your mind discerning. Train with a plan: Imagine trying to drive in an unfamiliar place without GPS? Yep, working out without a plan is pretty much exactly like that. You may eventually (if you’re lucky!!) get to where you want to be but with a lot of added time and frustrations. Be patient: This one is so important! Expecting six pack abs after one core workout just isn’t realistic! Progress takes time. Don’t get discouraged when things are moving slower than you’d like. Remember to track your progress so you can see the whole picture. Rest and recovery is just as important as training: I know it’s tempting to go into overdrive to accomplish your goals. But sleep and recovery is equally as (if not more!) important than the time you spend in the gym. Find something you enjoy Don’t like boxing classes? Don’t take boxing classes! Hate mindlessly running on the treadmill? Don’t run on the treadmill! Take every single in Pittsburgh if that’s what it takes but find something that you actually enjoy doing and it’ll make your fitness journey that much easier! What’s the best fitness advice you’ve ever received? Let us know in the comments! Keep reading for some background! He chose The University of Pittsburgh to further his education for many reasons, in part because of their highly regarded Nutrition Program. His freshman year he took pre- med courses and at the end of his sophomore year he was one of twenty five students accepted into the Clinical Dietetics and Nutrition Program, taking his first step to becoming a Registered Dietitian. The coursework within the program included very specialized nutrition courses such as Medical Nutrition Therapy, Nutrition Assessment, and Micro and Macro-nutrient Metabolism that continued to fuel his interest in the world of nutrition. Throughout his studies, however, he was keenly aware of his specialized interest in Human Performance. During his sophomore year of college, he became interested in supplements while working for GNC as well as weight lifting which was around the time that an injury took him off the track and restricted him to the gym for 8 months. He continued working at GNC part time for 4 years and was kept up to date with the latest products, but was often concerned with the claims made by the supplement industry that were based on little to no clinical evidence. This motivated him to become an expert in as many supplements as possible to better help clients navigate the very confusing supplement world. When senior year arrived, it was time for Dietetics students to select a post-graduate option. For those wishing to become a Registered Dietitian, there are two main options: a Coordinated Masters or a Dietetic Internship. Both require 1200 hours of supervised practice and 600 hours of coursework to sit for the RD exam. Keeping in mind his interest in Human Performance and his desire to specialize, he chose the Dietetic Internship. From August 2012 through May of 2013, Andrew worked within Adagio Health as a Dietetic Intern. It was a non-traditional Dietetic Internship that provided him with a very condensed educational format as well as exposure to business management. He completed his Dietetic Internship and knew the next steps were to take the RD exam and get a Master’s Degree. He passed his RD exam in the summer 2013 and became licensed to practice in the state of Pennsylvania. He started Case Specific Nutrition part time in August of 2013 while working in the Food Industry. In January of 2014, he began working full time as a Case Specific employee, and began devoting all of his time to his dream. In December of 2015, he completed his Master’s of Health and Rehabilitation Science with a concentration in Wellness and Human Performance at The University of Pittsburgh. This Master’s Program combined nutrition and exercise physiology which helped him serve as a better resource for athletes, those interested in weight loss, as well as the role of diet and exercise in chronic disease management. The additional coursework in his program contributed to his focus in eating behavior, particularly in those struggling with eating disorders and disordered eating. In addition to creating and running CSN, he is part owner of the Pittsburgh Fitness Council, sits as the Diversity chair on the Pennsylvania Academy of Nutrition and Dietetics Board, writes for the Post-Gazette’s community voices nutrition blog, speaks frequently throughout the Pittsburgh area, and remains active in multiple professional groups. We’re so excited to have you at this event to learn more! Hope to see you Thursday August 24th! Myth– Protein shakes will make you lose weight. Proteins are broken down in the body through glycolysis the same way that carbohydrates are, so if you consume too many calories whether it’s from protein, carbohydrates, or fat, you will gain weight. Myth– Protein shakes will make you “bulky” or “fat.” If you add whole milk and peanut butter, you might! If you’re trying to keep it lighter but jazz up your shake with something other than water you can add skim or almond milk, plain yogurt, fruit, or PB2 peanut butter powder. Myth– You will get “too muscular” from drinking protein shakes. Consuming protein doesn’t produce more protein, which means you won’t directly gain muscle from drinking a protein shake. It takes a lot of physical effort to gain muscle over a long period of time. Myth– You need to consume a protein shake within the 20 minute post workout “anabolic window” to gain benefits. The body doesn’t work in this overly simplified way. Get your protein in post workout but don’t stress if it’s an 60 or 90 minutes after you’re done. 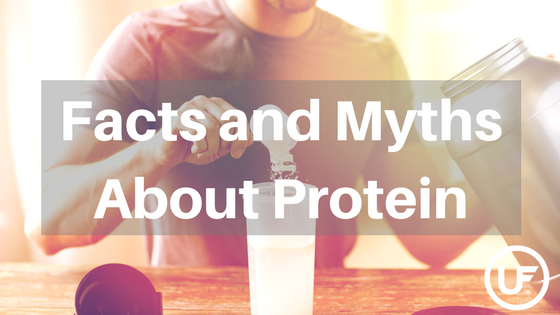 Myth– Protein is bad for your kidneys and you can only absorb 20-30 grams of protein per meal while the rest is excreted in urine. Again, an overly simplified view of how the body works. Consuming more protein is not “wasted”, it just takes longer to digest. Myth– “If I’m not exercising, I don’t need to consume protein.” Whether or not you’re active, protein is an essential macronutrient. Athletes and non-athletes still need adequate protein intake. 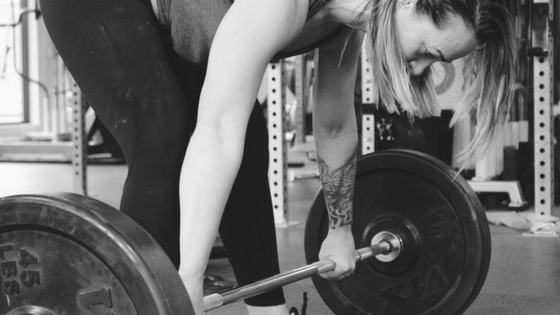 Athletes may require slightly higher amounts to support muscle repair and fill their caloric needs but the amount doesn’t necessarily need to be drastically higher than that of the average person. For any given individual, of the three macronutrients (protein, carbs, & fats), the amount of protein per day should remain consistent while the carb and fat amount can vary based on activity level. Fact– Protein deficiencies are very common and an increased protein intake has powerful effects on increasing the rate of injury repair and reduce illness. Fact– Protein shakes are supplements (as in they should supplement the diet) not replace whole, minimally processed food sources like vegetables, lentils, beans, and meat. Fact– There are different kinds of protein powders that have different effects and purposes. Whey is fast absorbing so it is suggested to consume post or intra-workout. Casein is slow absorbing and suggested to consume midday or closer to bed-time. Neither is better or worse than the other. Fact– Protein shakes are not for everyone. Whey and casein are derived from milk proteins, so if you’re lactose intolerant or have a sensitivity to dairy products (or tend to feel bloated or gassy), try a different brand or other protein powders such as pea, beef, hemp, soy, rice, or egg. Fact– All protein is made by plants. Only plants can take nitrogen from the air, break the nitrogen molecules apart, and incorporate the nitrogen into amino acids to make proteins. Because plants are producers of protein from which all other proteins are derived, they have a much more beneficial effect on the body. Animals are consumers of plants or other animals, so their proteins are recycled in the food chain. Fact– There’s nothing magical about consuming protein powder, it’s just a convenient protein source. Check out Registered Dietician Andrew Wade’s Recipes (macros and calories included!!) to make protein smoothies, protein pancakes, protein oatmeal, protein yogurt, protein cupcakes, protein bars, AND protein waffles! 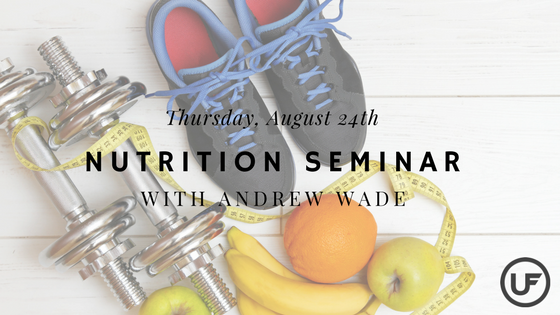 Andrew will be speaking at our Free Nutrition Seminar on August 24th from 6-7pm at Union Fitness!